Winter songs full of passion. In these latest years the hidden Italian talents always out from My Kingdom Music... a label able to discover what melancholic music produces in the underground! 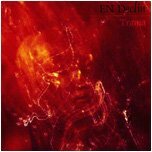 After Room With A View, Crowhead, Klimt 1918....I have the pleasure to present you this new band..."En Declin"! Melancholic music that reminds me to the latest Anathema Production; Winter songs full of passion and depression but with a special touch of melody. Gothic rock and Post-Alternative are perfectly mixed in these 11 tracks in which the sad Maurizio's voice gives us special emotions with a very melancholic timbre. It's impossible not to underline the original "1647" in which the band is able to mix dark sensations to Alternative Rock ....Can you image Anathema and Nickelback together??? A very special surprise to notice the great sound thanks to the great production that gives value to the songs....and I can’t but underline the great Giuseppe Orlando's work from Novembre in the production. "My Anger" is still sadness played by an acoustic dimension in which Anathema shadows seems to be a real presence; In my opinion one of the best song of this album is the next "Still Anger" , in which the band shows a great inspiration that seems to mix Anathema, Jeff Buckley, The Ours, Radiohead...a great song! "When Edge ..."pure Alternative-Dark in which Alice in Chains influence is perfectly mixed to a very personal dark touch! "Isquosadmove" is a pure acoustic poetry ...great!!! !The band involves us with an unmistakable passion that seems the result of years spent to listen to the lessons of bands like Katatonia and Anathema, even if the band is able to obtain a very personal sound , and I can't but underline the great vocal performance made by Maurizio! The only flaw, that in my opinion is evident, is the lack of change...The album should have needed to something different and more experimental ...but this is only my personal opinion ; The band gets a great sound based into an acoustic dimension. An album that will be the joy of dark and melancholic souls....and I can't but affirm that Italian talents are a reality !!! !